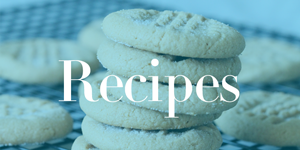 Home / Savings Blog Posts / Holidays / Christmas Recipes / Hot Chocolate Cookies Recipe! Hot chocolate is a staple this time of year. Make this Hot Chocolate Cookies Recipe this year for your kids! This Hot Chocolate Cookies Recipe is the perfect after school treat or party recipe for your family. If you are planning a Christmas Party this year, or looking for a new treat to take to the office, these are simple and easy cookies that everyone can enjoy! Nothing says winter and Christmas like Hot Chocolate – so Hot Chocolate Cookies are sure to be a hit! These would even be fun cookies to make with your kids on Christmas Eve to leave for Santa Clause :). Here are even more of my favorite Christmas Recipes to try this Holiday Season! Whisk together the flour and cocoa and set aside. Cream together butter and sugar in a large bowl. Beat in the egg milk and vanilla. Gradually add flour mixture to butter mixture and mix well. Cover and refrigerate for at least an hour. Form into 1″ balls and place about 2″ apart on prepared sheet. Using your thumb, make an indentation in each ball. Bake for 10-12 minutes or until center is set. Cream butter and vanilla wih a mixer until fluffy. Gradually add in powdered sugar until incorporated. Transfer to piping bag with a round tip. Go ahead and get your Christmas Cookie Cutters at Amazon! I always think about getting these when it’s too late in the year. Grab one of these fun Christmas sets and start your holiday baking early!